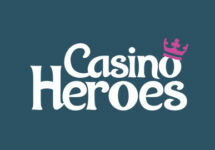 Casino Heroes – October Casino Offers | Week 1! 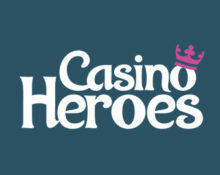 Get your daily casino treat! Enjoy extra casino treats from the Boss! End the first week of October on a high and claim a generous discount on Free Spins for selected games in the Ruby Store. The fun doesn’t stop there as all players can then dive into a new gaming week with more generous offers for Free Spins on deposit and extra Rubies that can be exchanged for Free Spins in the Ruby Shop throughout the next days. Login today until 23:59 CET and enjoy a 10% discount on Bonus Spins or wager-free King Spins on the tagged games. Wagering requirement is 40x FS winnings within five days, subject to the Casino Heroes bonus terms and conditions. Check back to read about the next casino deal. Launched in 2014, the casino is operated by Hero Gaming Limited under Curacao and MGA Malta licenses. The games are available on desktop, mobile and tablet, being provided by Netent, Bally, Barcrest, Betsoft, Big Time Gaming, Blueprint Gaming, Elk Studios, Fantasma Games, Foxium, JustForTheWin, Lightning Box, Microgaming, Old Skool Studios, Play’n GO, Playson, Pragmatic Play, Push Gaming, Quickspin, Rabcat, Scientific Games, Thunderkick, WMS and Yggdrasil. The Live Casino tables are powered by Evolution Gaming.